After months of seafaring on a nameless ship, the Story Pirates finally decide what to call their vessel. Best of all, the new ship name comes from one of our listeners! 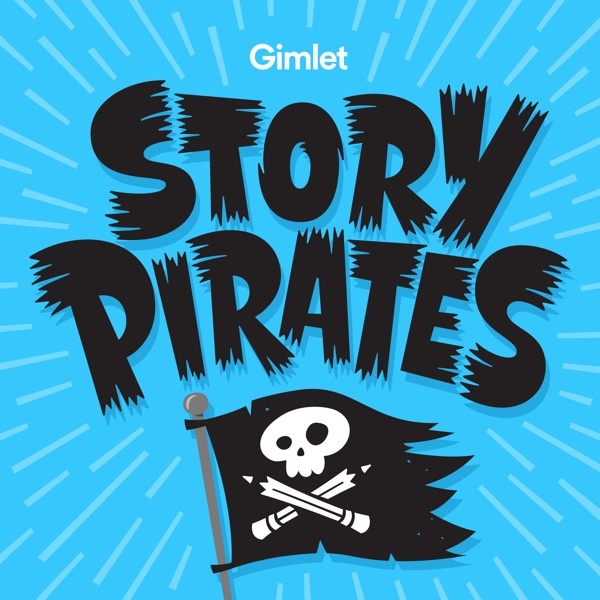 This weeks episode features two new stories: "How the Grizzly Bear Turned Into a Polar Bear," a catchy acoustic jam about a grizzly bear with an identity crisis by a 1st grader named Max from Colorado, and "Boogerman's Trial," a courtroom drama about a man made of boogers and his grudge against the ocean, by a 3rd grader named Finn from Maryland.